It doesn't matter if eBay is your hobby or full-time family business, working the eBay platform is time-consuming. It takes a lot of time and work to find the right items to sell and then photographing, editing, and listing the photos before packing things up for shipment. Any automation you can incorporate into your business will save time, money, and frustration. eBay has a feature called Immediate Payment, where buyers must pay via PayPal before the sale is completed. The item remains for sale until the PayPal transaction is completed, so if the buyer doesn't pay, another buyer can come along and purchase the item. The seller doesn't lose any time waiting to collect a payment and the item stays on the market. Unfortunately, Immediate Payment doesn't work on auctions or when the Best Offer is accepted. Here are a few ways to collect payment from eBay buyers who are slow payers. The Unpaid Item Assistant is an automated setting that will open an Unpaid Item Case against the buyer within a set number of days determined by the seller. Sellers can designate a time period as few as two days from the date of purchase. 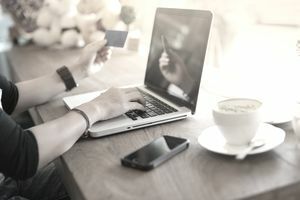 After the designated time period passes, the buyer will receive an email notification that an Unpaid Item Case has been opened and they must pay for their item within four days to avoid a strike against their account. Unpaid Item Assistant is free for sellers and will save you a great deal of time when working with delinquent buyers. When the buyer does pay, the Unpaid Item Case drops off and the seller receives an email that the case has been closed. If the buyer does not pay, the seller receives an email that Final Value Fees will be credited back to their account. After a certain number of unpaid item strikes, the buyer is removed from eBay. It is really important that all sellers file unpaid item cases against buyers who don't pay. This way, non-paying deadbeats will be removed from eBay systematically. If a buyer purchases an item on an auction or you accept a Best Offer, the Immediate Payment option won't work. You will need to manually send an invoice. To do this, just go to your eBay summary page, choose the sold listings tab, and the sales record will come up. Next, choose the option to send an invoice. The buyer will receive the invoice via email. Some buyers will pay right away. Others may reply with a reason why their payment is delayed, such as waiting for a paycheck from their job, or they will pay as soon as they get back to their computer. Try to work with people and don't assume that just because someone doesn't pay immediately they are a deadbeat buyer. Things really do happen to people and life gets in the way sometimes. If the buyer doesn't pay after filing a UPI case, and the item was an auction listing, send Second Chance Offers to other bidders. Another great eBay feature to increase sales and overcome non-paying bidders is the Second Chance Offer feature. The way it works is if there were multiple bidders on an auction, and the first bidder doesn't pay or decides to cancel their bid, eBay allows the seller to contact the next bidder in line and offer the item to the highest bid. This is a handy free feature that all auction sellers should implement as soon as they realize the original buyer isn't interested or isn't going to pay. Second Chance Offer can also be used if the seller has multiples of the same item and wants to offer them to the next-in-line bidders. This feature is easy to use. On the eBay Summary page, simply click on the sold item and the Second Chance Offer will be visible. Don't forget to relist the item after receiving the notification that the buyer has not paid. If you have gone through all the steps to collect payment and the buyer has not paid, just keep moving forward. If one person bought the item, it's likely another buyer will want it as well. Nonpaying customers are, regrettably, a part of doing business so don't take it personally. Once you see the Final Value Fees have been credited to your account, relist the item. The next person who buys the item is a totally different customer and your experience will probably be a positive one. Most sellers agree that the majority of customers pay quickly and are a pleasure to work with—just be positive and have faith in the process.